News and notes on Ozzie Albies, Brian McCann and much more. Kyle Wright struggled on Friday allowing eight hits, three walks and six runs in just 3 2/3 innings in a 6-2 loss to the New York Mets. 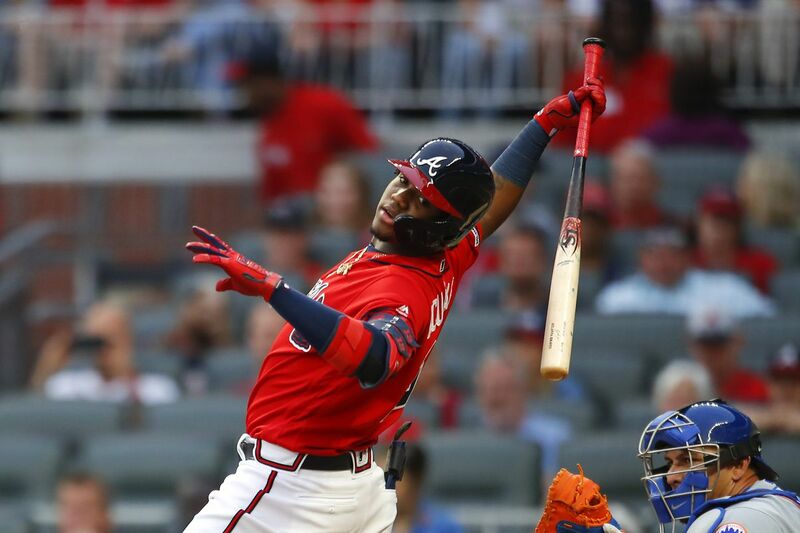 Atlanta managed just seven hits against New York pitching as they dropped to 7-6 on the season. Sean Newcomb will try to get the Braves back in the win column Saturday, the Mets will counter with left-hander Jason Vargas. Postgame reaction from Kyle Wright, Dansby Swanson and Brian Snitker. An excellent article by our own Doc Herbert who looks at how Ozzie Albies has evolved as a player and at some of the adjustments he has made so far this season. Injured Braves catcher Brian McCann is progressing in his return following a hamstring injury and is likely to rejoin the club later this homestead according to a report by the Atlanta Journal-Constitution’s Gabe Burns. McCann recently caught a couple of bullpen sessions and hopes are he will be ready to return on Tuesday when the Braves open a three-game series against the Diamondbacks. Mike Trout didn’t travel with the Angels to Chicago because of a right groin strain that he suffered earlier this week in a game against the Milwaukee Brewers. He is to be re-evaluated Sunday after an MRI on Friday showed reduced swelling. Yankees reliever Dellin Betances was diagnosed with a bone spur in his right shoulder. He will likely need at least three weeks of rest pushing his timeline back to approximately six or seven weeks before he is ready to return to the Yankees’ active roster. Nick Markakis will bat leadoff for the Braves in rubber match against Reds In an exciting turn of events, Nick Markakis will be hitting first for the Braves tonight (if the game is played). Atlanta Braves prospect watch: outfielder Trey Harris Trey Harris is easily one of the more likable prospects in the Braves system. Turns out, he’s also really good.